All kinds of books are obtainable at this library, starting from Ian Rankin to the odd Khaled Hosseini. Book World Library has over 45,000 books in its stock. It also sells books so if you have any used fiction or nonfiction book then Book World Library is the best place. Books are placed in a well organized manner; every genre is placed in separate sections so that searching becomes easy for readers. 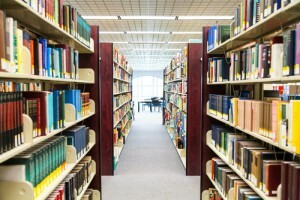 The environment of the library is very calm and quiet; you will definitely enjoy reading your favorite book there. At a very reasonable cost computer, cookery, fashion and interior designing based books are also available. From Saturday till Thursday Book World Library remains open from 9:30 am till 9:30 pm, whereas on Friday, the library opens at 4:30 pm and closes at 9:30 pm. Fictional and non fictional, all kinds of books are obtainable at Book World Library. If you have any queries or wish to ask any question then feel free to call the management of Book World Library on the number cited below; make sure you call within the operational hours. 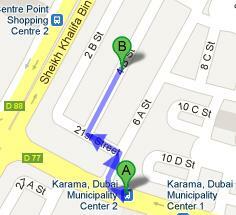 Karama, Dubai Municipality Center 2 is 350 meters away from Book World History. You will have to take route number 88, 91, C14, C15 and C26 in order to get dropped here. From the stop head towards the west direction on Kuwait Road and then take a right turn onto 6 A St. After covering 83 meters, take another left turn onto 21st Street. The last right turn on 4 B St will take you towards your destination. By walk total 4 minutes are required to cover the entire distance. For a detailed view of the map, click here!